A trivia game of twisted terror! 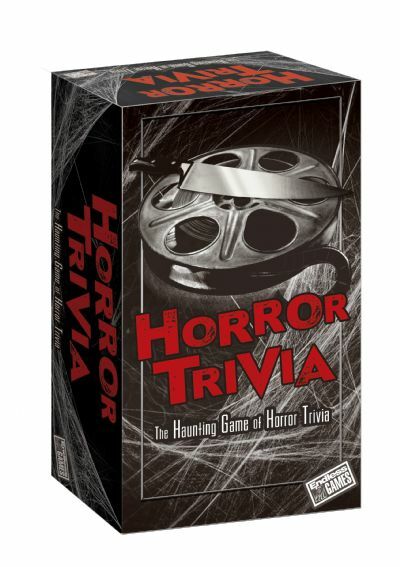 For Halloween or ANY TIME you want to challenge your friends and yourself on fun frightening facts and figures! Answer questions to arm yourself against the ultimate evil. Call a priest, gas up the chainsaw, and sharpen the machete…will you survive the night? For 2 or more players. Ages 13 and up.